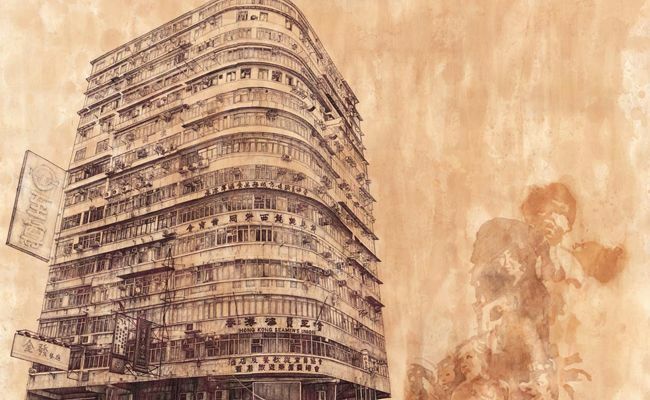 This year’s Hong Kong Art Prize follows the Hong Kong Young Artist Prize awarded in 2012. It is initiated by Asia Contemporary Art Show with the support of the Hong Kong Art Gallery Association. The enthusiasm from aspiring young artists, doubling the application from last year, as well as the tremendous response from the art community, testifies to the need to create a significant and long-term platform for Hong Kong’s local artists. Indeed, with the city’s rising reputation as a regional art hub and a global centre for the art trade, there is scope aplenty to promote Hong Kong’s home-grown talents, as a means to empower young people to participate in a rapidly growing industry where it would be nice to see more works and representatives from the local community. The entries of this year’s competition did not disappoint.While the works submitted lean on oil paintings (oil on canvas) as expected, there is a range of styles from the more conventional and rigorously academic such as Fish and Chopper (oil on wood, still life), to more contemporary approaches such as the humorous, puzzle-like Study of a Man in the Street, and Jonathan Jay Lee’s powerful graphic piece – Grimace. As an ardent advocate of heritage conservation and revitalization in Hong Kong, I am particularly pleased to observe the keen interest many participants take in Hong Kong’s unique but fading local culture. At a time when government authorities are just waking up to the value of Hong Kong’s unique heritage, from old historic buildings to intangible cultural practices, and still struggling to come up with adequate guidelines, policies and mechanisms to protect and revitalize these cultural assets which are disappearing in front of our eyes, the art community has once again taken the lead in giving voice to the matter. The mode of expression they take can be overt such as Peter Ross’ Where is Your Heart?, which is dominated by a typical early 20th century tong lau, the likes of which could once be found in old districts such as Yau Ma Tei and Monk Kok, but are becoming increasingly rare as old districts are being bulldozed over by new developments. The accurate rendering of the old building with fine attention to detail shows Peter Ross’ architectural background, but he tampers this scientific accuracy with a series of surrounding portraits, which are blurred into an ink cloud like lingering ghosts of the past. 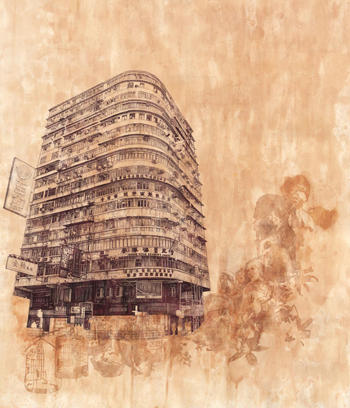 The combination of materials he has chosen – ink pencil, tea and soy – creates a sepia effect that brings out the nostalgia of old Hong Kong, while engaging the audience to question more deeply about our architectural heritage, and its relationship to by-gone generations who have lived through the sea-change of the past century. Personally, I think the vetting committee of the ‘Revitalize Historic Buildings Through Partnership Scheme’ in Hong Kong would benefit from reflecting on this deep and oft-neglected connection between material heritage, typically buildings, and the so-called ‘intangible culture’ – the everyday lives and doings of ordinary men and women whose mundane daily practices make up the totality of their cultural existence. Having said all this, I cannot be more pleased with the public’s choice of Where is Your Heart? This is the type of question Hong Kong as a city is wrestling with, and through a democratic process of internet voting, Hong Kong Art Prize has endorsed an urgent public voice. Cultural expressions that carry Chinese / Hong Kong sentiments also take more subtle forms. Wu Chun Yin’s Fish and Chopper seems prima facie unexceptional, but the subject matter – and in particular, the distinctive form of the chopper – reflects a local cultural focus which makes the piece more than just an academic exercise. If the language and perspective is utterly western, the subject matter is entirely rooted to Hong Kong. Another work I would like to mention is Vito Hung Fai’s Transformation VI, one of the three runners-up in the competition. 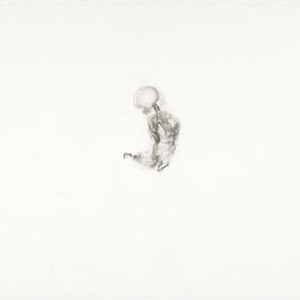 The artist’s intention is to portray the process of biological evolution through a series of embryonic skeletons as though seen through the X-ray. 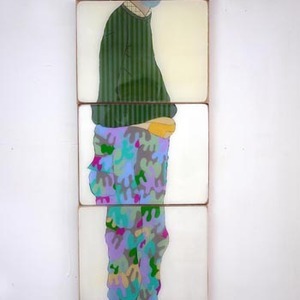 In many ways, the artwork is supposed to be viewed in the context of a series of ‘transformations’, and this aspect of change is not so apparent when one of the paintings is viewed in isolation. 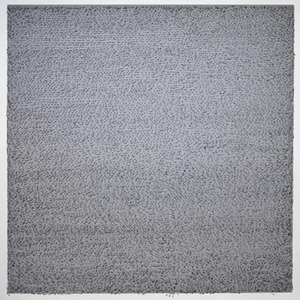 However, at a more metaphoric level, the concept of evolution is embedded within the creative process itself, which involves a series of ‘unfolding’ and replication – a metaphor for genetic multiplication surely, but using traditional Chinese ink techniques and thus creating a final result with a softer, even more contemplative feel that is typical of Chinese ink painting. Other artworks show a bolder and more contemporary approach. Grimace, already mentioned above, is one of them. Another, more playful, is Han Chi Loy’s Study of a Man in the Street, which is also a runner-up in the competition. To my mind, both artworks challenge conventional boundaries of what constitutes ‘art’, and more particularly ‘fine art’, which I see as a welcoming sign in a culturally and artistically conservative community such as Hong Kong, and I hope their inclusion in the awards will encourage more artists to branch out of their ‘comfort zone’ to explore and innovate. At the end of the day, in selecting the winning awards the jury panel have to consider a host of factors such as creativity and originality, execution, cultural relevance, etc. The four winning artworks reflect what the jury panel believes contain the best balance out of all the entries. Aesthetic judgment is an irreducibly subjective exercise, but as a jury member I sincerely believe the chosen artworks reflect the diversity of this year’s entries. Whatever difference of opinion the reader or the public may have with me and the jury, I hope will only encourage young artists in Hong Kong to explore and find their own voice, as there is no winning formula.